The thrill of victory and the agony of a defeat are two feelings that we, as sports fans, encounter on a regular basis. They’re two totally different emotions, but each one often leads us to the same destination: the radio dial. Whether it’s immediately after the game on a post-game show or the next day on a station’s local programming, listeners crave the content from hosts, guests and callers that can match the emotion they felt from the game. But what if there was no destination for your favorite team? What if stations in the area paid way more attention to other area teams, putting the team you follow on the back burner? On Tuesday night, the Tampa Bay Lightning scored an impressive eight goals, en route to an 8-2 win over the New Jersey Devils. The win put the Lightning at 8-2-1 on the season, which gives them the best record in the Atlantic division and second-best in the NHL. The team is rolling and the excitement is high amongst the fan base. But as fans filed out of the sold-out arena and into their cars for the drive home, there probably wasn’t a whole lot of Lightning’s coverage on the local sports radio stations. Why? Well, Jameis Winston and the Buccaneers, the Jaguars, Florida State, Florida and the rest of the SEC are the main topics in the state of Florida during this time of the year. It’s a tough reality, but one that every non-football team in the Sunshine State routinely deals. 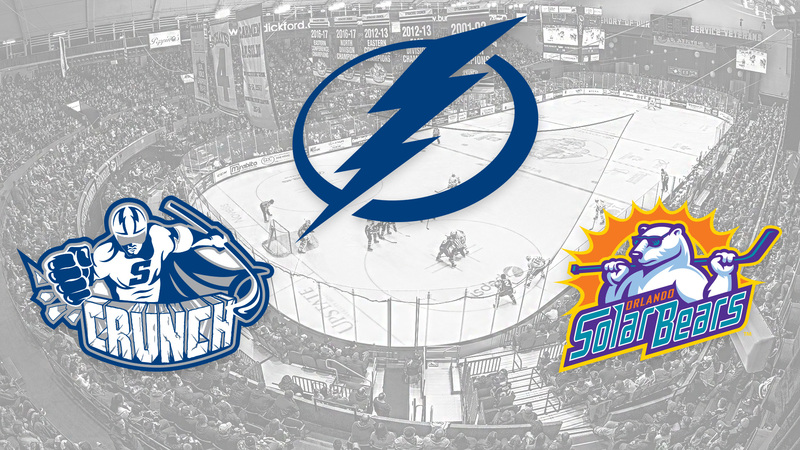 Instead of living with that reality and battling for popularity in the state, the Lightning decided to take a proactive step to help build its brand. In October of 2014, Lightning Power Play was debuted. The idea that had been bouncing around the head of Matt Sammon for over a year, was now a reality. If it worked, it could be a trend setter, in terms of how fans enjoy their favorite team’s product. The concept was simple: put game broadcasts, replays, original content and anything else that was centered on the Lightning on a 24/7 hub that fans could enjoy at any time of the day. Like anything else, small problems were encountered at first. But eventually, they were solved and the product continues to see rapid growth. 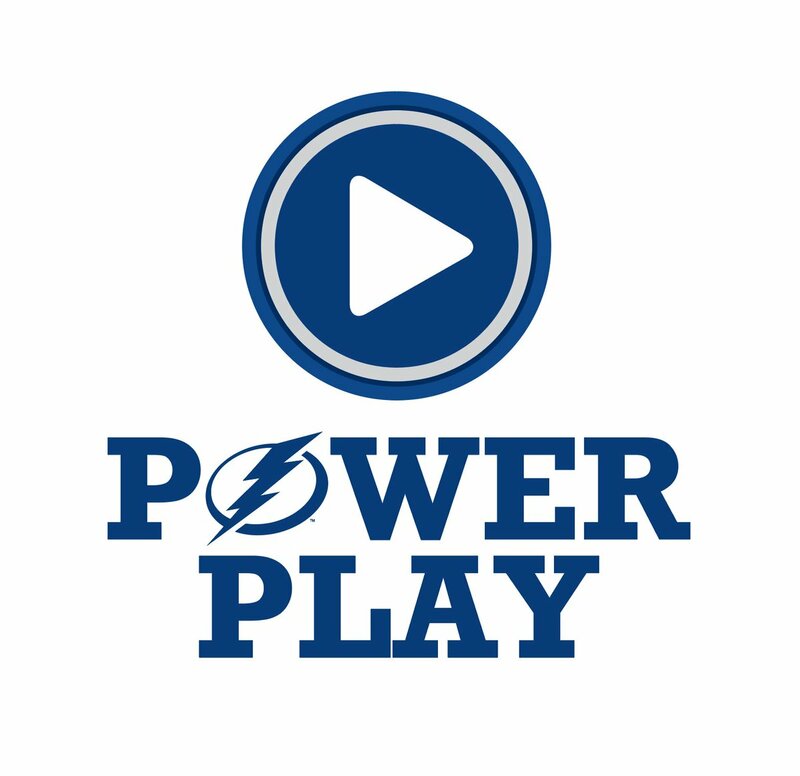 Located on iHeartRadio, the station can easily be found by searching ‘Lightning Power Play.’ Whether it’s 6 p.m. on a game day or 2 a.m. on an off day, fans are able to stream content for free. The move proves that teams have more options than just terrestrial radio to get their product in front of the fans. With the business moving more and more digitally, Sammon and the Lightning are hoping they’re a step ahead of what’s to come. The interesting thing, is if more teams in the NHL and other leagues across the country elect to create their own platform. It could change the way sports fans consume their favorite team’s product. Plus, each team would be able to totally control the content that’s put out to the listener. Though the idea is already a successful one, there are still hurdles to overcome. How to monetize it correctly, getting the word out to more fans about the product and finding more original content ideas, are just a few that are on Sammon’s mind. However, Lightning Power Play has a plan. Sammon shared more on what could be a revolutionary change for the sports radio business. TM: What was the original idea of Lightning Power Play and where did it come from? MS: There was a general shift, not only in the industry, but in consumer habits, along the digital spectrum. IPhones and other mobile devices were becoming more plentiful and content for those devices was being produced more. There’s just that general idea of moving things forward and progressing. Ever since I’ve been in my role, it’s trying to continue to grow our brand and product throughout the digital platform. Even that’s changed over the years. It was just trying to keep up with the times and stay ahead of the curve. Now, the other big reason, was because Tampa Bay is a very big football market. Even if we have a very good hockey team, it’s a constant battle to get the word out on how the hockey team is doing. There’s a little bit of frustration, it’s, “okay, we need to do more than just a game broadcast,” but we also need to do it in a way so that we can create a landing zone for our fans, because we know that football is always going to be the big story around here, pro, college and high school. For hockey fans, in particular, Lightning fans, we need a destination for them and that’s really kind of became the foundation of what would become Lightning Power Play. TM: Do listeners have to pay for the service? And where can I find it? MS: It’s free for anybody and there’s a number of ways you can listen to it. One, is if you have the IHeart Radio app, it’s on that platform. Just search ‘Lightning Power Play’ and it’s right there. We also have a website, LightningPowerPlay.com, which, essentially, directs you to our page on the Lightning’s website. Also, we’re on the Amazon Echo and Google Home. All you do is ask your device to play Lightning Power Play and it immediately comes up. You can get it outside the market, just anywhere where you have an iHeart Radio stream. TM: Do any other NHL teams have something similar? MS: Well, to be honest with you, we were heavily inspired by the Pittsburgh Penguins, who no longer have Penguins 24/7. They used to run their station on an HD2 channel but it also streamed online. They took that off about 3 or 4 years ago, I have no idea why. But the late Ray Walker was such a great inspiration, a really good provider and guidance for us when we were just getting our feet wet. In terms of 24/7 programming, the only team that’s doing it right now is the Washington Capitals. But there’s more and more teams that are opening the digital door by streaming the games online, with the intent to build content around it. The LA Kings, they’re doing that, as well as the New Jersey Devils and New York Islanders. The Philadelphia Flyers also do some limited ancillary programming, digitally. Now, you’re seeing more teams get into the digital realm, starting with the games, so I think more and more teams are going to start looking it at that way. There could be more streaming of games online, maybe altering how the flagship relationship is with a team. Then, there’s building content around that to create a station or network online, as supposed to over the air. TM: What were the biggest challenges in the early stages of Lightning Power Play? MS: I think the biggest issue was just awareness. We’re still learning how to combat that. We’re doing some social media advertising, mostly with Facebook. We’ve found interesting interactions with our ads that have went out. We’re up for doing more things such as interviews like this, doing more in-game promotion on our terrestrial radio broadcasts, by letting people know there’s stuff out there, besides the regular game broadcast. We’ll see if that chips away a little at the lack of information or knowledge about what we do. We’ve seen our numbers go up significantly in the last several months. The other big challenge, and thankfully we’re not dealing with this anymore, is you have to program 24 hours a day, 7 days a week. On a game day, that’s easy. There’s all sorts of stuff you can do before, during and after. It’s the time in-between that becomes challenging. The good thing, is when we launched this, we knew we were going to be about 80 percent replay and 20 percent of new, live and local content. The issue has turned around the other way. In fact, I’d say were around the 90-10 ratio of original, live, local, exclusive programming and just a little more of the replay content. That’s ultimately what we wanted to do and we have people knocking on our door wanting to get into the programing, anyway possible. If they have a unique idea that can fit into the programming and stand out from everything else we’re airing, we’ll certainly talk and try to make it happen. TM: On that, how many different talents do you use? MS: We actually have 12-14 different shows. Outside of the Lightning play-by-play, we air, when we don’t have a conflict of programming, our minor league affiliate hockey teams. When we’ve got room, we’ll incorporate them in. Then, we have daily programming. We have a new live and local lunchtime show that airs 1-2 p.m. every weekday. We have a show in the early evening that runs from 6-7 p.m. That’s been running for three years now and it’s called Lightning Power Play Live. That runs not only Monday thru Friday, but if we have a game on Saturday or Sunday, it’s preceding our network broadcast. It’s kind of an extended pregame show. We also have, what I call, some primary programming, with a show on Monday called Game Misconduct. That runs 5 or 6 times throughout the day. We have a different show on Tuesday, a new one on Wednesday, we’ve got a whole collection of weekend shows that offer a nice, different view of the sport and just sports in general. It’s a unique juggling act to make everything work but so far we’ve found a way to manage it. Every show we have is different from the other. That’s what makes it so special. TM: Is there a way to monetize all this? Can you incorporate ads into your content? MS: Yeah, that’s the 64 thousand dollar question, quite literally, is how do you monetize this? That’s been a slow and steady progress. The best thing about Lightning Power Play and our organization is we knew going in that for the first 1-2 years that our goal was to not make money. We needed establish programming and establish an audience, then we’ll try to bring in some revenue. So we attack it from a few different ways. One, is when we sell these bigger packages to companies that advertise in other platforms, within the Tampa Bay Lightning, is Lightning Power Play a part of a bigger package. That’s one way to monetize. We also boil it up to a show host hitting the pavement and trying to sell the show, or the station in general, to help bring in revenue. We found some success with that, small success, but it’s still money coming in the door. Now, we’re looking at an OTT platform called The Identity in our organization. Do we couple The Identity along with some digital operations we’re doing with the University of South Florida? Now, if you have one big digital sales team that goes out to solve this. We’re still working on that but I’ve really been convinced over the past year or so that the tables are going to turn in the next 4-5 years. Instead of digital being a bonus buy for a terrestrial buy, I think you’re going to see more and more agencies and business buying digital first and then getting the AM and FM thrown in for no additional cost. We’re hopefully ahead of the curve on that. TM: Do you expect to see more NHL teams come around to this idea? Especially ones in similar market situations as you, such as the Stars and Hurricanes? MS: It’s interesting you bring up the Stars and the Hurricanes, because those teams simulcast their TV broadcast. It’s certainly up to each club what they want to do, but I think with the Kings, Devils and Islanders coming aboard, you’re dealing with new additions from major markets, good ownership groups with deep pockets and strength in numbers. As long as this continues to grow, I think you’re going to get more teams talking to one another and asking how they did it. Some of the hurdles, when we started and other teams started asking, the hurdles for them were money and man power. Without the proper cash investment and without the proper man power investment, you can’t really pull this off. Now that you’re getting more and more teams finding ways to do it, now I think some of those hurdles get leapt over. I would guess, more and more teams are going to go this way. It’s not a big money maker for the NHL, but for individual teams it’s a new revenue stream for them. I think you’re going to see more and more teams and leagues that are fighting the NFL for popularity, to just fight through it and create a platform for their own and invite their fans to come there. Especially hockey fans, they’re passionate. If you tell them where to come, they’ll go.